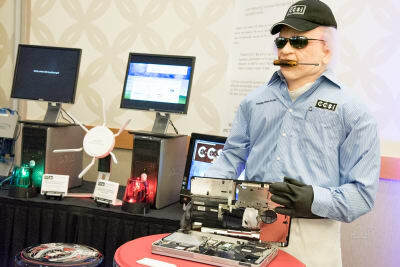 On Friday, April 29th the Columbian's Education reporter, Susan Parrish join us at the Tech Expo and showcased the connects that teens made to tech at our first "Digital Technology Expo" event. The GVCC was featured on the cover of the Business Section of the Columbian! 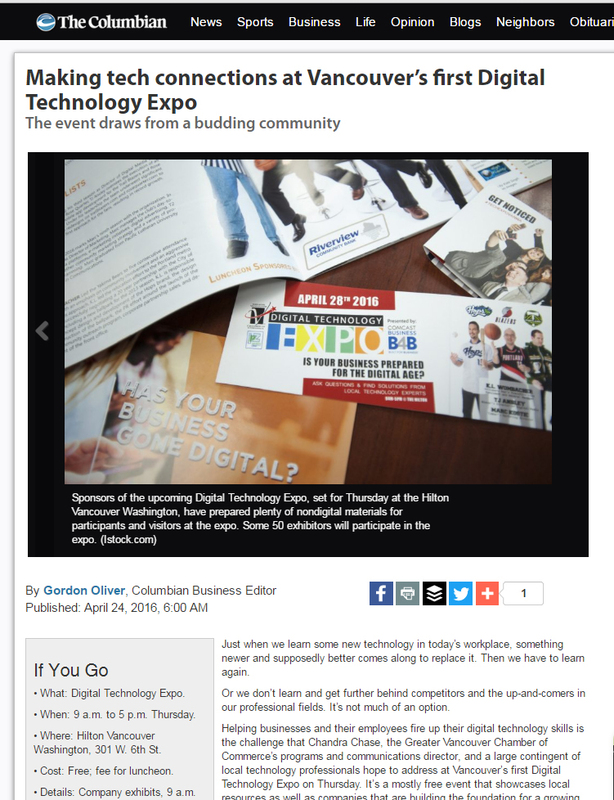 Thank you Gordon Oliver for writing a story about the digital technology expo that touches on all that we are offering the community. Dr. Dene Grigar of WSU-Van, Sandra Towne of the City of Vancouver's IPZ: Digital Technology, and Kevin Getch of Webfor were featuring in the article. 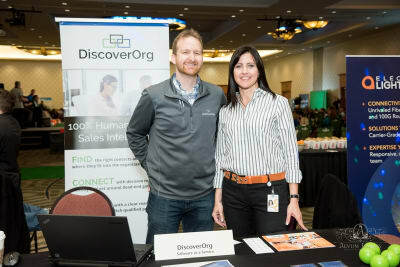 Henry Schuck, CEO of DiscoverOrg to Speak at "Digital Technology Happy Hour!" During the 3-4pm Happy Hour you'll have the chance to network with movers-and-shakers in the Digital Technology sector, the GVCC's Board, leaders in academia, dignitaries, elected officials, and business owners! You will also hear from Henry Schuck, the CEO of DiscoverOrg as he talks about his rapid growth and why he's chosen downtown Vancouver as his home. No cost to attend, first 150 guests will receive Swag Bags. Must be 21 or over. Pacific Office Automation to Giveaway Seattle Mariners Tickets at Expo! Mark Faulk and his team at Pacific Office Automation will be giving away Diamond Club Tickets to the Seattle Mariners! Just sign up for FREE at their booth at the Digital Tech Expo, and you'll also receive a no cost analysis of their products to best suit your needs. 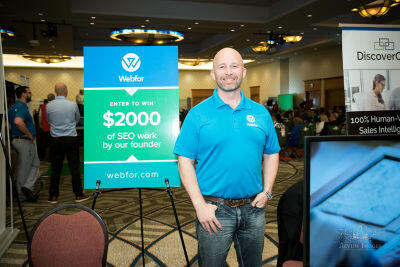 A business will win a $2,000 search engine optimization (SEO) package from Webfor at the Digital Technology Expo! It's free for businesses and individuals to attend and meet local technology companies who can showcase wide variety of solutions to improve the functionally of your business. Visit Webor's table to enter! Vendors and sponsors! Get your applications and sponsorship forms in now! We'll be designing the 40+page Technology Magazine in early March! The Content deadline has been moved from Monday, February 29th to Friday, March 11th. All exhibitors will not only get a listing in the magazine, but a chance to author a column (no charge) and place an ad (two sizes available, starting at $100). The Technology Association of Oregon is expanding into Southwest Washington. 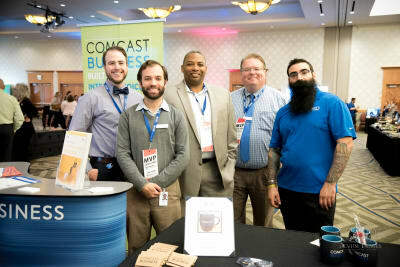 They help the region's technology and tech-enabled industries to grow through programs and initiatives that focus on industry promotion, advocacy, professional networks, and talent development. Learn more about them on April 28th! The GVCC officially partners with the STEM Network to organized the "Educational Preview" that will kick off the Digital Technology Expo. The best-and-brightest from the Vancouver, Evergreen and Camas School Districts will attend the Expo in the morning for a unique chance to see the vibrant digital technology industry. The STEM Network will focus on students with a skillset and interest in the Computer Technology Education programs. This is a chance to light the creative fire (and link up with) the generation who will becomes the future of the industry. Is your business ready for the Digital Age? The Chamber's January/February "Vancouver VISION Magazine" features articles, and profiles about the Digital Technology sector and the Expo event. Thank you Trek Global, Webfor and Comcast for your contributions. The team at voicebox created their own technology from scratch, they call "the karaoke brain!" They will be on the demonstration stage walking you through its functions and ending with a song! 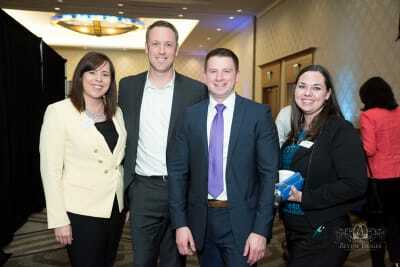 The Chamber is now working with a dedicated Leadership Clark County (LCC) team on the Digital Technology Expo event! This team will focus on the Educational Preview and provide on-site workshops within the three school districts. 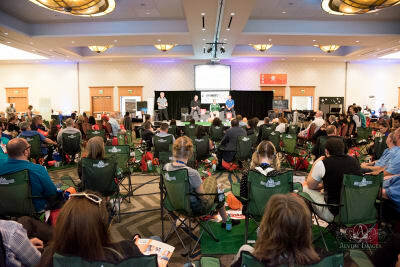 These workshops will help the students learn how to ask questions and present themselves to the businesses at the expo. 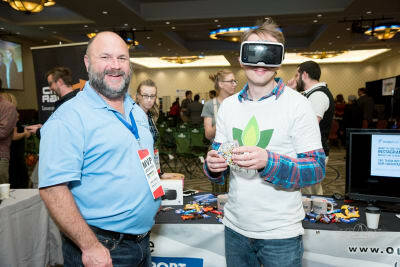 The team at Sprout has become our first ever Digital Technology Expo vendor! The team at Comcast is committed to exceptional, quality programming. 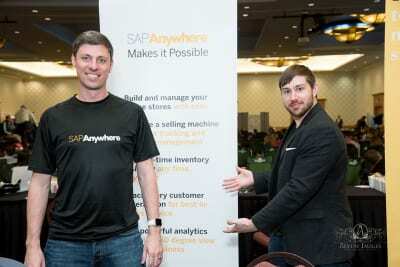 They have signed on as the official presenting sponsor of the first "Digital Technology Expo!" They offer a "Technology Blue Print" for businesses that provides an easy guide to bring businesses up-to-date. The Greater Vancouver Chamber of Commerce recently celebrated 125 years in the community and our strong partnerships are teaming up with us for our newest venture: The Digital Technology Expo & Luncheon! Our founding community partners are: CREDC, WSU-Van, Clark, City of Vancouver, IPZ: Digital Technology, and the Vancouver, Evergreen and Camas School Districts. Do you want to partner? Email us to learn more. Back row, left to right: Teresa Brum of City of Vancouver, Chato Hazelbaker of Clark College, Sandra Town of the City's IPZ: Digital Technology, Chandra Chase of the GVCC, Max Ault of the CREDC. 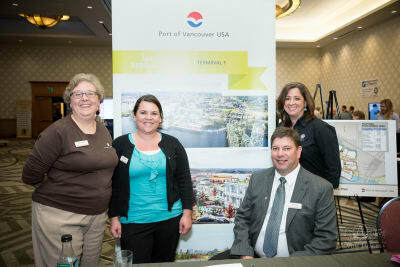 Front row, left to right: Rebecca Kennedy of the City of Vancouver, Dr. Dene Grigar of WSU-Vancouver and Kelly Love the former GVCC CEO/President. Photography by Kate Singh of Aevum Images. On Thursday, April 28th 2016 the Greater Vancouver Chamber of Commerce will host the “Digital Technology Expo and Luncheon” at the Hilton in downtown Vancouver, which will consist of five parts: a multi zone technology expo directed at business application, a lively demonstration stage, an education preview, a dynamic digital technology luncheon and, finally a “Technology Happy Hour!” This event will be unparalleled in our region and combines the strength of the City’s Innovation Partnership Zone (IPZ) in Digital Technology, WSU-Vancouver’s Creative Media & Digital Culture Program, the Columbia River Economic Development Council and a number of other community partners. This will be the premier venue for experiencing new technologies, fueling the creative fire of students and increasing the community’s general knowledge and application of digital technologies. Entire expo open from 9am-5pm, free. Luncheon requires $50/ticket to attend. Over 500 computer science focused high school students from the Vancouver, Evergreen, and Camas School Districts will attend. Organized by the SW WA STEM Network, our Leadership Clark County team and the: Vancouver, Evergreen, and Camas School Districts. 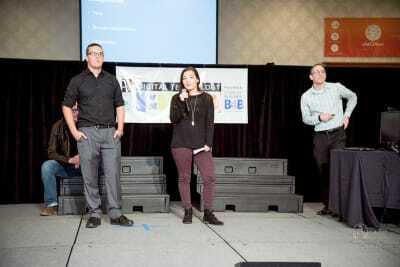 The event’s center-stage will showcase a number of community members, businesses, and students on the “Demonstration Stage!” Sponsored by the SW WA STEM Network. There is an application process, time slots are limited to less then five minutes. Find the form at vancouverusa.com -> tech event. Do not miss the opportunity to see the CMCD's debut of the T1VR project showcasing the past, presesnt and future of the Port's Terminal One Project. 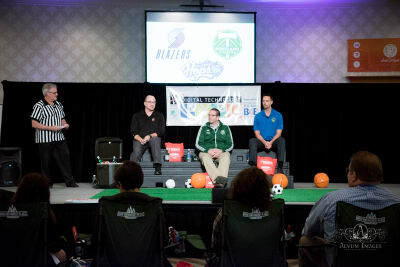 The marketing gurus of the Blazers, Timbers, and Hops will come to Vancouver to share information with you regarding leveraging digital technology platforms to engage the community. Luncheon presented by Riverview Community Bank! $50/person, rsvp online: vancouverusa.com. The second session of the Demonstration Stage! Drinks and tech? Yes please! Must be 21 or over. This is a time to network with community and business leaders.